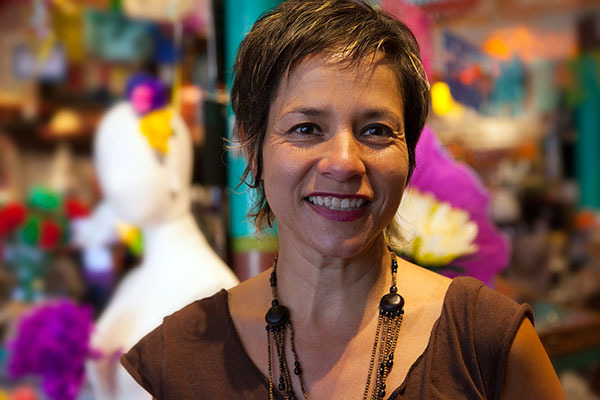 Nancy Chárraga, owner of Casa Bonampak. Photo by Alan Toth. Next¿Qué harán los candidatos si pierden la elección? 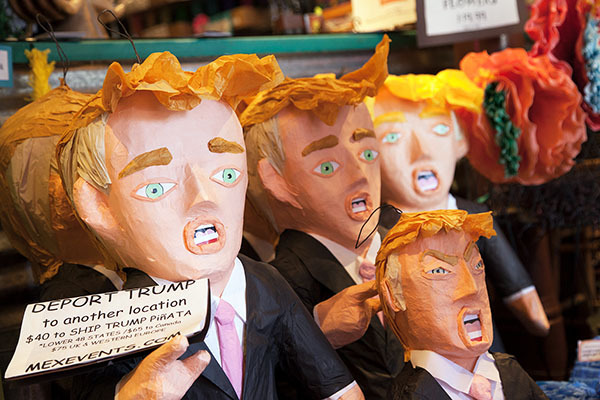 I have a shop in San Miguel de Allende, Mexico: Fantasia and I bought a Trump Piñata in Jan or Feb. and I was going to do a Trump Bashing Piñata Party but……..I glad I did not….now I have Him hanging outside the shop upside down holding a sign that says, Dump Trump for the Garbage he Is. 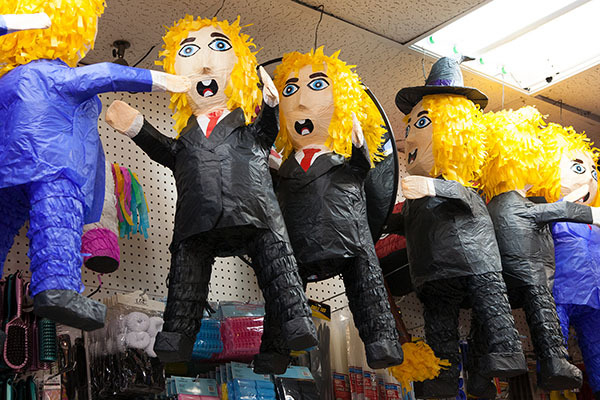 Drives the Rebublicants crazy and of course San Miguel is predominately Democrat and they Love it. Facebook on the other hand does not…..they took it down off of my sight and I can not repost it. I did not know Facebook was political.